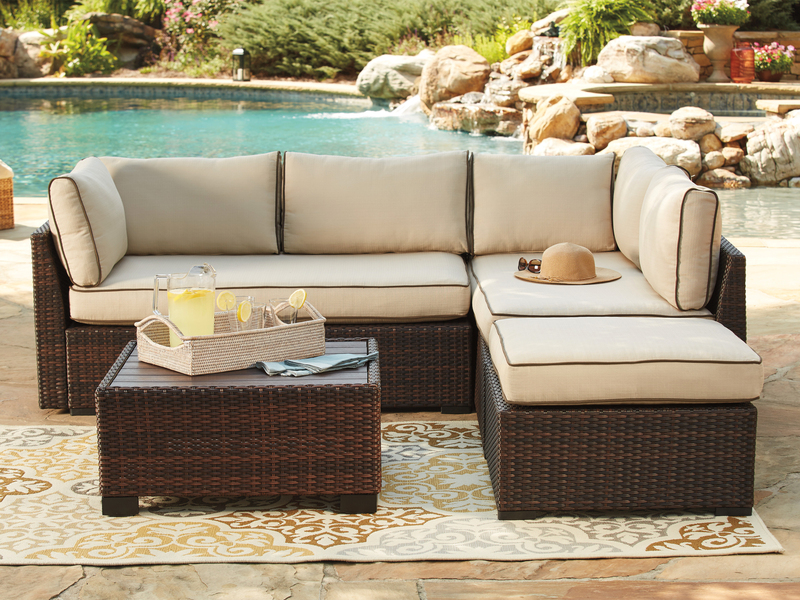 The Loughran 4-piece outdoor sectional set's clean architectural lines and supportive cushioning make being outside even more inviting. All-weather reversible Nuvella™ cushions are finessed with brown piping, and complement the richly hued wicker frames perfectly. Square cocktail table and ottoman cozy up to the sectional with ease.